Nail clipping is something that should become routine for you sooner or later. It’s a good idea to start clipping them early and to do it often so the dog gets used to the procedure. 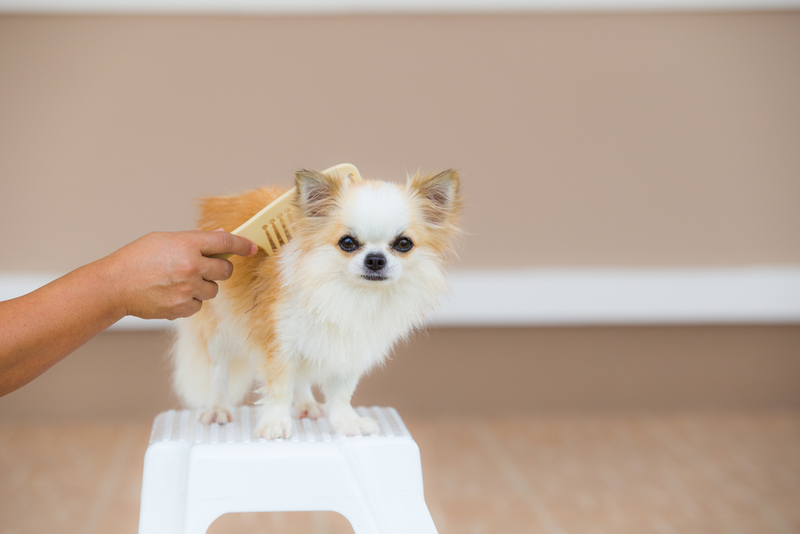 Bathing Your Chihuahua, How Often And Why Do It? First of all, why bathe your dog? It removes dead skin from the coat, just like it removes dead skin from the skin for us. 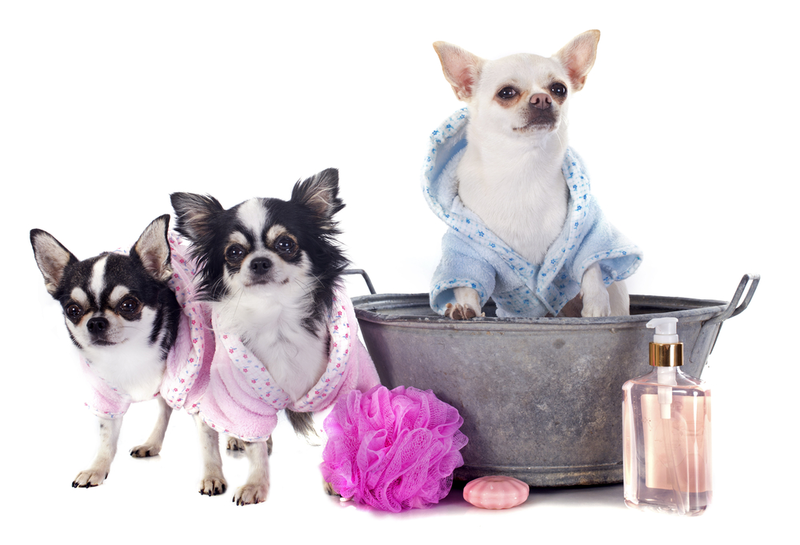 One bath a month is usually enough for a Chihuahua, but you can choose to do it more often if you feel so. However often you do it make sure you use a quality shampoo for dogs and a good conditioner that doesn’t dry the skin. The reason you bathe a long-haired dog more often than a smooth-haired dog is because dirty hair gets matted very easily. Once it starts tangling it’s very hard to deal with. There’s no other reason to do it. Start bathing at 10 weeks of age, not earlier. When you’re doing this for the first few times make sure you talk to your dog and reassure him that it’s alright. Positive reinforcement will help him calm down and get used to the process. Gradually introduce the hair dryer because he might be afraid of it at first. Never let any water enter the ears. It can easily cause infections and other nasty things. Use cotton balls to cover his ears. Don’t leave him unattended in a body of water so he doesn’t drown. Also check up any water before using it on your dog. If you let your dog’s coat start to mat you’ll have a much harder time trimming and bathing him. Keep a watchful eye out on that before they become big problems. It’s also a good idea to brush any excess hair before you bathe your dog. Also, be more careful once your dog is wet because he’ll be much more slippery. Grooming and bathing should be fun times for you and your dog, where you get to splash some water over your shirt and laugh about it. If you don’t regard this as a fun experience it’s going to become just another chore you have to do.